With its handsome gabled houses, olive-green canals, vibrant markets and exquisite art, Amsterdam never fails to charm. However, there are plenty of surprises too: the city is shrugging off itsold anything-goes image and smartening up its look, from reviving the long-neglected docklands to revamping showpiece sights in the Museum Quarter. But for all its reinvention, amsterdam retains a laidback, small-city vibe that's hard to top; this Rough Guide will help you to discover both sides to the capital. 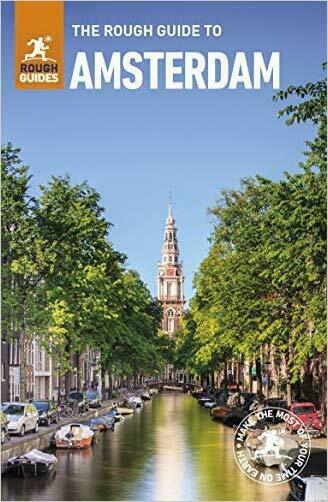 Discover Amsterdam with this comprehensive, entertaining, 'tell it like it is' Rough Guide, packed with exhaustive practical information and our experts' honest independent recommendations. Whether you plan to explore the Museum District, visit the moving Anne Frank Huis, hole up in a cosy brown café or cycle the leafy lanes of Vondel park, The Rough Guide to Amsterdam will show you the perfect places to explore, sleep, eat, drink and shop along the way. - Detailed regional coverage: provides in-depth practical information for every step of every kind of trip, from intrepid off-the-beaten-track adventures, to chilled-out breaks in popular tourist areas. Regions covered include: Old Centre; Red Light District; Grachtengordel; Jordaan; western docklands; old Jewish quarter; Plantage; eastern docklands; Amsterdam Noord; NDSM shipyard; Museum Quarter; DePijp; Amsterdamse Bos. 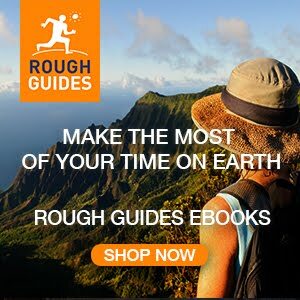 - Honest independent reviews: written with Rough Guides' trademark blend of humour, honesty and expertise, and recommendations you can truly trust, our writers will help you get the most from your trip to Amsterdam. - Meticulous mapping: always full colour, with clear numbered, colour-coded keys. Navigate the trendy NDSM Wharf neighbourhood, the narrow streets of Jordaan and many more locations without needing to getonline. - Fabulous full-colour photography: features a richness of inspirational colour photography, including postcard-pretty Begijnh of and the colourful Bloemenmarkt. - Things not to miss: Rough Guides' rundown of Amsterdam's best sights and top experiences, including Koninklijk Paleis, the Anne Frank Huis, Joods Historisch Museum, EYE Filmmuseum and the Van Gogh Museum. - Itineraries: carefully planned routes will help you organise your trip, and inspire and inform your on-the-road experiences. - Basics section: packed with essential pre-departure information including getting there, getting around, accommodation, food and drink, health, the media, festivals, sports and outdoor activities, culture and etiquette, shopping and more.